Blair Plain is nowhere near plain! (SPOT.ph) Most first-time visitors to Singapore flock to the usual tourist spots such as the Merlion, Marina Bay Sands, or Orchard Road. 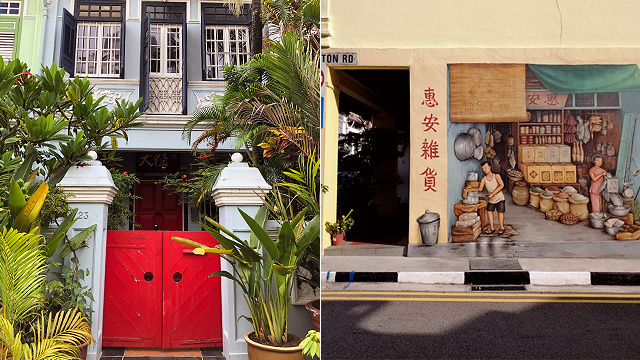 All are great to see, but away from the glittering modernity of the city center are other tiny, quiet, and fascinating neighborhoods that give us a glimpse of traditional Singapore culture mixed with contemporary art. One such spot is Blair Plain, a small neighborhood tucked in the Tanjong Pagar district near Singapore’s Chinatown. Made up of Neil Road, Spottiswoode Park Road, Blair Road, and Everton, it is a picturesque conservation area lined with restored shophouses, restaurants and cafés, and art galleries. 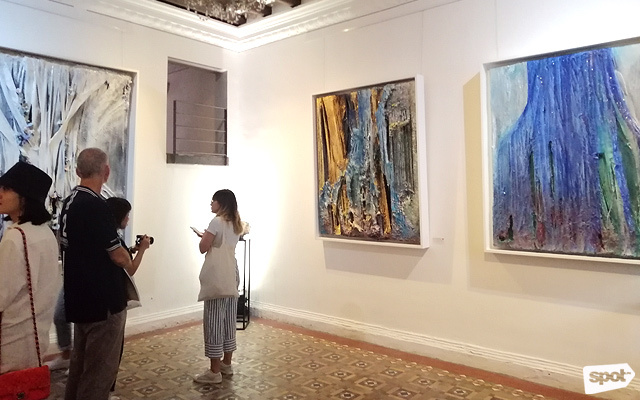 Art consultant and director Louise Martin conducted an Artsy Walk in Blair Plain tour to kick off this year's Singapore Art Week, but it is one tour you can actually do on your own. The walking tour begins at the corner of Spottiswoode and Everton streets, where the “Provision Shop” mural is located. 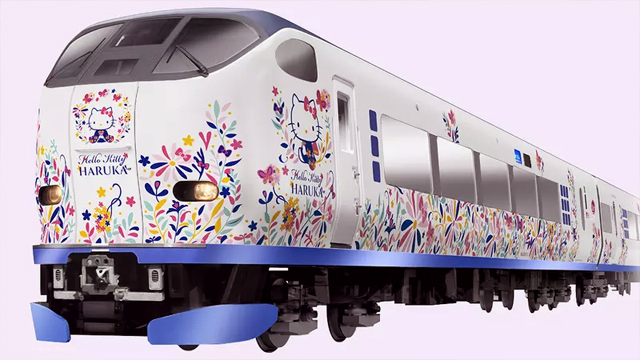 It is so realistic that you feel like you can walk into the shop and buy rice and pet the cat. 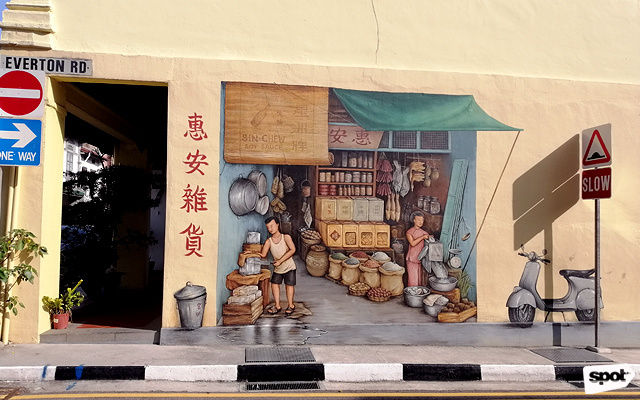 “Provision Shop” is by Yip Yew Chong, a former finance director who became a self-taught muralist. When Yip was just starting out, he had to beg shophouse owners to let him paint on their walls, with the reassurance that if they didn’t like the murals, he would paint over them again. Yip now has 48 murals all around Singapore, each one capturing the culture and flavor of Singapore life. Tucked into one of the many charming shophouses is the Art Porters Gallery, which was founded by French expat Guillame Levy-Lambert and Singapore national Sean Soh with the mission of “sharing happiness with art.” The gallery is like a multi-layered secret, where you enter a light-filled, mirrored main gallery and open a door that leads to a blue, neon-lit staircase and yet another gallery in the lower level filled with contemporary works by young artists from Singapore, China, Indonesia, and Malaysia. 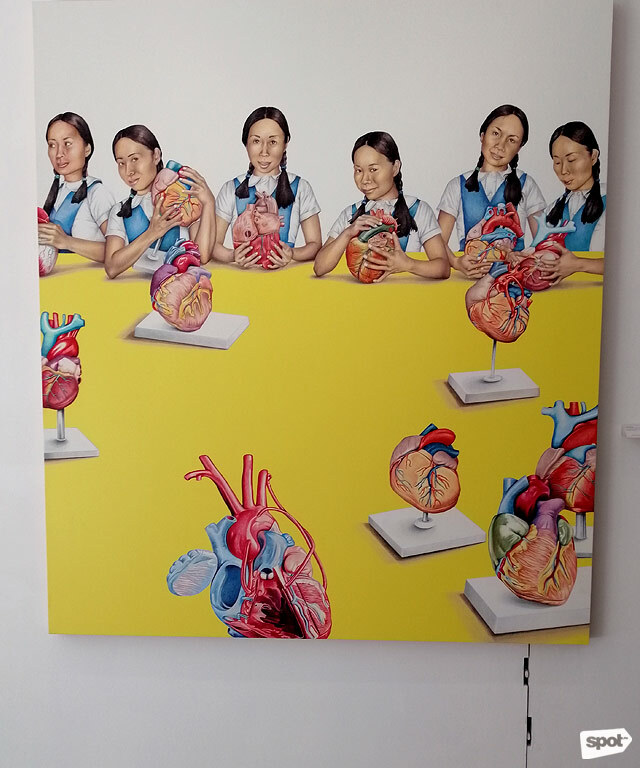 Their current exhibit is of Singapore-born New York artist Su-en Wong. Art Porters is at 64 Spottiswoode Park Road. Fancy doing some OOTDs? 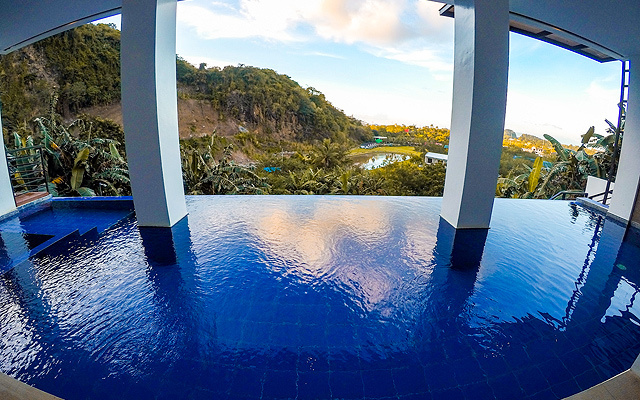 This photogenic area is just right for that, featuring stunning murals that make for a perfect shot. 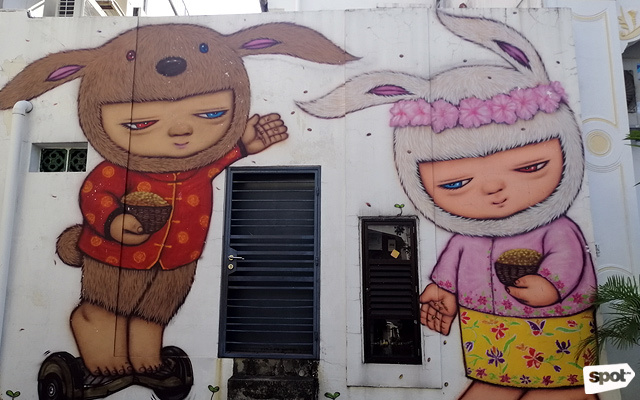 Don’t miss taking a photo at Thai street artist Alex Face’s (real name: Patcharapol Tangruen) massive but whimsical mural behind a Chinese medicine shop along Spottiswoode Park Road. Alex’s signature character, Mardi, is seen here wearing the traditional Nyonya Kebaya while her friend speeds along on a Segway. For inquiries and booking an appointment, e-mail carlosmunozluque@gmail.com. One of the distinctive features of this area are the rows of colourful shophouses, which are architectural icons in Singapore. These two- to three-storey structures served as both commercial and residential spaces for the Peranakan Chinese during the colonial era, and have since been restored or adaptively reused into restaurants and shops, and modern homes. 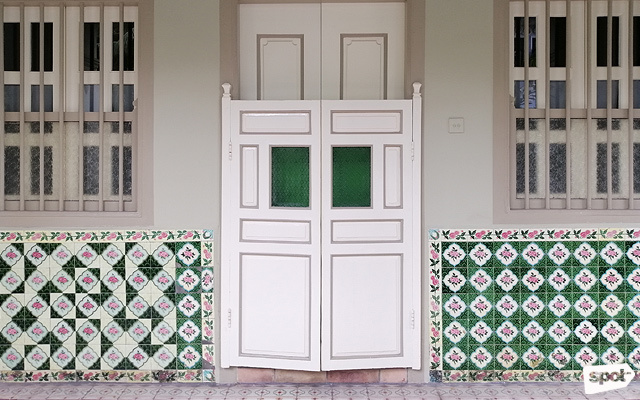 Each shophouse is unique, but they share the same details of patterned Peranakan wall tiles, colorful encaustic cement floor tiles, shuttered windows, and a canopied roof over an open veranda. Some of the shophouses along Blair Road have European-inspired ornamentation, such as pilasters with Corinthian capitals and Rococo detailing. Not exactly within Blair Plain but just a few blocks down the road, Straits Clan Café takes decorative and dining cues from traditional Peranakan culture, which could be seen everywhere in the Tanjong Pagar area. 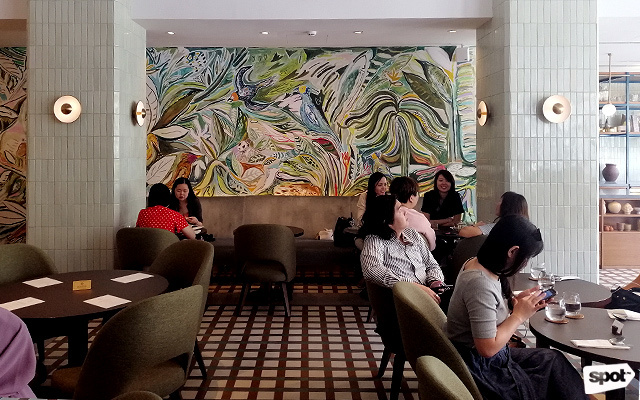 The café’s lively murals and patterned encaustic floor tiles are contemporary takes on Peranakan home design, and the same concept applies to the food. The dishes put modern and healthy twists on traditional Peranakan treats like otah (fish cake) and the pandan-flavored Kueh Salat dessert. 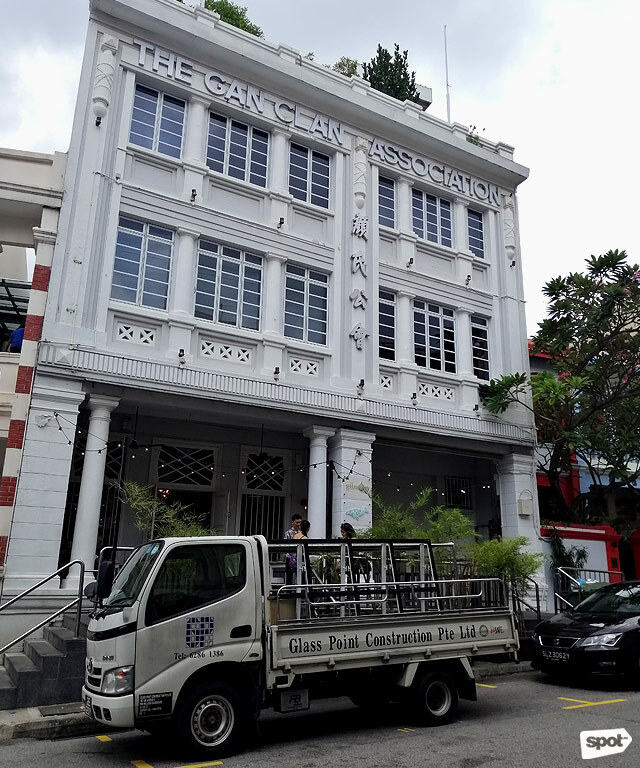 Straits Clan Café is at 31 Bukit Pasoh Road. Remember that famous restaurant scene where Peik Lin gives advice to best friend Rachel Wu (“Bok bok, b*tch!")? This happened at Humpback Restaurant, which is a few steps down the road from Straits Clan Café. Even if you don’t have crazy rich in-laws, you’ll still enjoy having an oyster plate or seafood roll with a Bloody Mary on the terrace here. Humpback Restaurant is at 20 Bukit Pasoh Road. For more information about the Blair Plain tour, contact Louise Martin at louise@louisemartindesign.com.